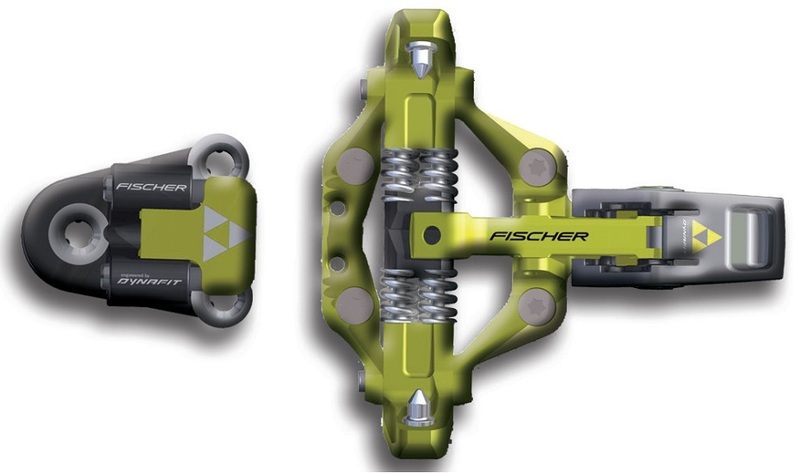 Fischer doesn’t call this the 3.0, but rather the Tour Race Lite. However, after three entirely different versions of the Tour Race Lite, we are here to help you differentiate. The “3.0” is essentially the Dynafit Low Tech Race 2.0, but with a manual locking lever and a lower price. This means the binding is fully ISMF and wallet compliant. The heel piece is Pierre Gignoux’s brain-child, whose natural habitat is at the top of a podium somewhere. It works great with carbon boots and has both lateral and forward release mechanisms. If you are looking to drop weight, cost, and retain functionality, the Tour Race 3.0 performs admirably. An advanced mix of aerospace grade aluminum, titanium, and high-strength plastic make the binding strong and seriously light. The only thing faster than EPO is the heel flap, the quickest way to transition from hiking to skiing. Cutting grooves on the toe pins help to keep your boots ice-free and seated properly. Lateral and forward release mechanisms provide a modicum of injury prevention. Covered by Fischer's 4-year binding warranty. Still looking for a new product photographer that specializes in Fischer bindings. Excellent race binding so far. Cannot tell the difference between these and my normal low tech race 2.0 bindings, so must be from the same factory :) If you want to make the most unique setups, this is a good option to get different colors to mix and match with the Low Tech Race 2.0 bindings. The heel pins can wear after a season or two of hard use, but luckily the units can be replaced fairly easily. I’m making a new setup this year with Salomon QST Pro 120 boots and La Sportiva Hi5 skis. Now just need a binding and these are an option I’m considering. Want to get deeper into touring and racing possibly but I also do a fair amount of resort days. Would these be able to hold up or should I go heavier? Hey Ryan! As much as we are proponents of the super light bindings, I definitely wouldn't pair a binding like this with between a ski or boot like you have. We try to match the usage intent and weight category of each ski, boot, and binding so that they are all working as one, rather than being over or under-powered by one another. It's tough to make an exact recommendation without getting more info, but seeing as you have some pretty burly boots and a relatively beefy touring ski, a binding like this would likely make the most sense. Like I said though, that's just one example and there are tons of options. If you're serious about getting some bindings, fill out our online binding finder and we'll take the time to get back to you with binding suggestions. Is there an adjustment plate that works with this binding? Hi Simon, yes you can use the LTR 2.0 adjustment plates found here.